Dr. Rademacher has an integrative primary care practice joining Naturopathic, Chinese and Western medicine. She provides individualized care that supports her patients’ health care goals with an approach that focuses on removing obstacles that hinder the body’s normal function and supports the body’s physiology and organ systems. “Using a combination of lifestyle modification, nutrition, Western and Chinese herbs, acupuncture and hydrotherapy, long-term health benefits can be achieved. Our foundation is the anatomy and physiology of how our organs, cells and blood are functioning while the energetic aspect of the body supports this foundation. Disharmony in the body is improved when one’s foundation is strong and the body’s energy or qi is flowing smoothly and strongly”. Dr. Rademacher will listen and take adequate time to understand your unique health history and develop a treatment plan that addresses your individual needs. To schedule an appointment with Dr. Rademacher click here. Dr. Rademacher has a special interest in oncology and chronic illness — including chronic fatigue, diabetes, thyroid conditions as well as insomnia, allergies and digestive issues. She will be a supportive member of your healthcare team as many of her patients have multiple specialists for their medical needs. She will partake in communication with other practitioners when required to support your healthcare plan. Dr. Rademacher has over 15 years of experience working as a registered nurse with more than 10 years working as an oncology nurse. She has enjoyed patient centered care and working in the multidisciplinary setting of the hospital yet felt there is much support that can be given through our traditional medicines. This led her to seek out a different style of medicine and led her to the National College of Natural Medicine in Portland, Oregon where she completed her Doctorate in Naturopathic Medicine and Master of Science in Oriental Medicine. She continued her studies with a 2-year residency at the An Hao Natural Health Care Clinic in Portland where she had extensive experience in primary care with a special focus in the areas of oncology and chronic illness. Dr. Rademacher has also spent several years working at the Immune Enhancement Project where patient care focuses on oncology, HIV, Hepatitis C, Multiple Sclerosis and other chronic conditions. 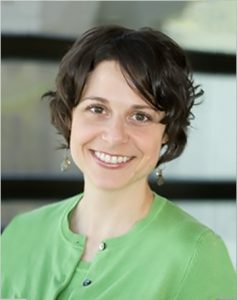 In addition to her private practice at Vital Health and Wellness she is employed by Oregon Health and Science University as an acupuncturist with the hematology/oncology division. Dr. Rademacher completed her Bachelor of Science Degree in Nursing at the College of St. Benedict in Minnesota. After she graduated, she spent a year working as a nurse, then was accepted to the U.S. Peace Corps. She spent the next 3 ½ years in Malawi, Africa as a healthcare volunteer working with women and children in disease prevention. Dr. Rademacher now enjoys spending time with her husband and twins as well as going hiking and camping, cooking and gardening.